Permanent marker with silver metallic effect ink. Especially designed for writing on non-porous surfaces (ceramic, glass, metal, stone), although it can also be used on paper, wood, etc. 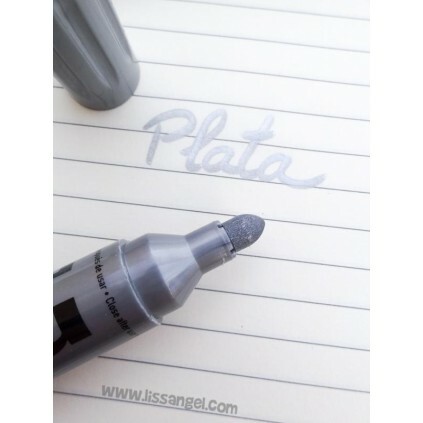 Get a nice and striking silver metallic effect with this silver permanent marker. 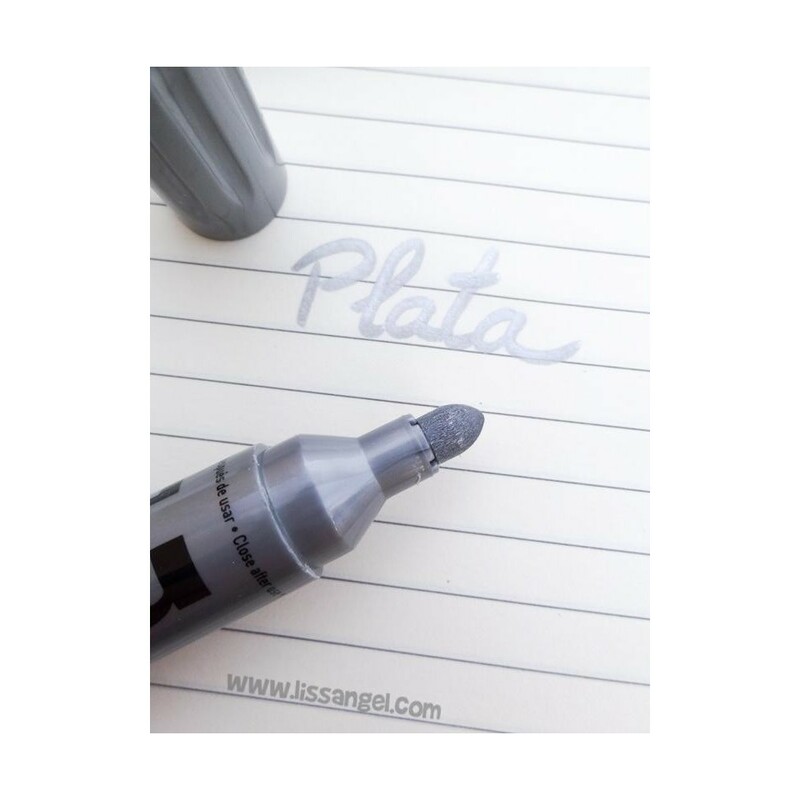 Ideal for writing on non-porous surfaces such as ceramics, glass, metal, etc. It can also be used without problem on paper (does not pass through) and other porous surfaces. Thick marker, 3 mm stroke. 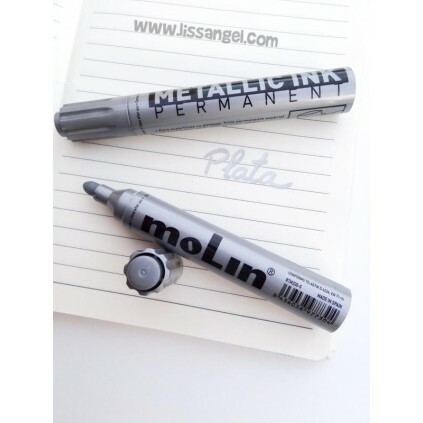 Product "Made in Spain" of the "moLin" brand, Spanish company that produces writing products. 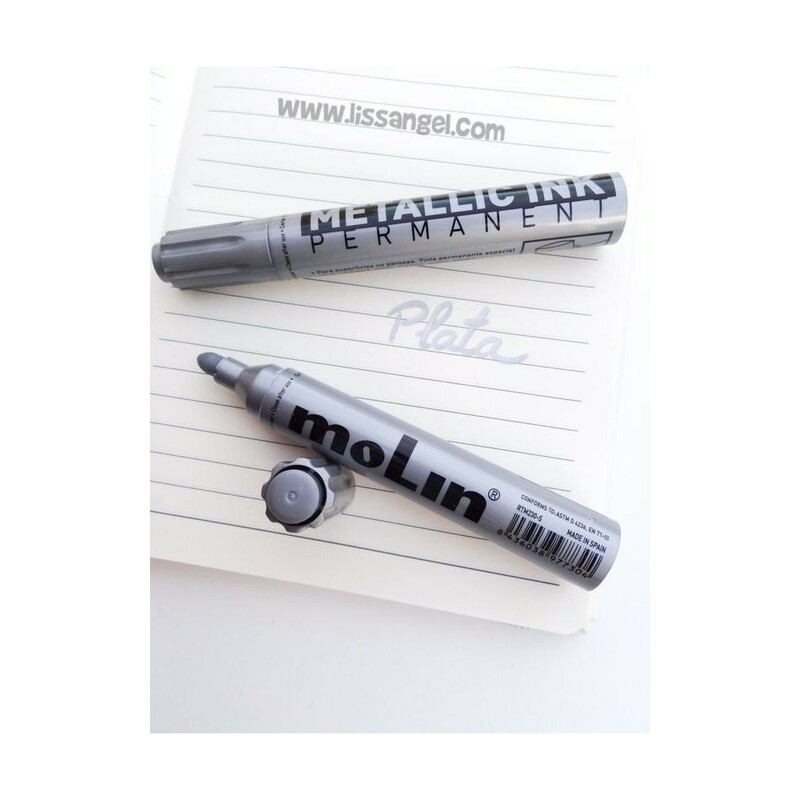 Highlighters / Markers "Nail Polish"
Get more with this pack of 10 extra fine tip markers (0.4 mm) from the Spanish brand moLin. You will get ten differents colors so that your notes will be the most beautiful in the school. Do you want to write secrets? With this original invisible ink pen with ultraviolet light is possible. In addition, it also serves as a fake bill detector. Read the description below for more details.